Now into our 17th year! 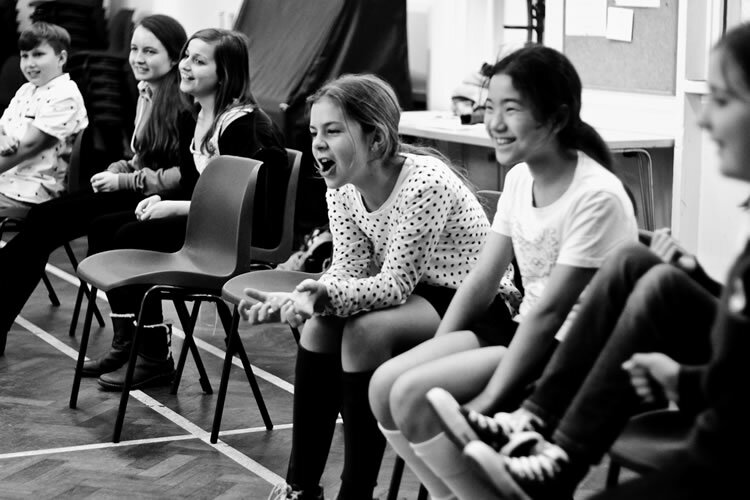 The aim of the Summer School is to develop children’s knowledge of drama and performance skills, mainly acting, also incorporating singing and movement, within a fun and motivating framework of games, exercises, and rehearsals for their show. Also, through drama, to develop communication, concentration, and team-work skills. Children are not required to have prior stage experience, but an interest in the performing arts is a must! On the final afternoon (Friday), family and friends will be invited to attend a performance of their work, on stage. This may be a whole short play, or excerpts from a play or musical. The school is run by professional drama teacher and theatre director, Jacquie Kirke, who has 20 years experience of teaching drama to children and young people, and is enhanced DBS checked. We have held the summer school for several years now and the children who attend the Drama Summer School always remember this week of their summer holidays as challenging, rewarding, and fun! Please Note: Places for the Drama Summer School are limited, and book up quickly. Bookings are taken on a strictly first come first served basis. To Book A Place, simply complete the form below, then go to checkout and pay via card or PayPal. Once we have received your payment, we’ll contact you via email to confirm your booking and attendance details. Please note: Act First Drama treat your details as confidential & will not disclose your email address to any other persons. Children need to bring a packed lunch (no products containing nuts please), plus drinks for the morning and afternoon breaks. Children will not be permitted to leave the premises at lunchtime unless prior arrangement has been made and the permission of the teacher granted. actfirst reserves the right to exclude any child who is persistently disruptive, or refuses to participate in class activities. In this case, a refund could not be claimed (N.B. This has never happened so far! ).